Tue., 26 Nov. - Mon., 17 Feb. Tue., 21 Jan. - Thu., 12 Mar. Sat., 23 Nov. - Mon., 17 Feb. Sun., 1 Mar. - Wed., 11 Mar. Sun., 24 Nov. - Mon., 17 Feb. Thu., 28 Nov. - Mon., 17 Feb. Thu., 10 Oct. - Sat., 2 Nov. Mon., 25 Nov. - Mon., 17 Feb. Sun., 1 Sep. - Sat., 14 Sep. Tue., 21 Jan. - Sat., 14 Mar. Thu., 24 Oct. - Tue., 28 Jan.
Fri., 17 May - Mon., 3 Jun. Sun., 7 Jul. - Thu., 18 Jul. Thu., 30 May - Sat., 6 Jul. Sat., 6 Jul. - Wed., 17 Jul. Wed., 1 May - Wed., 26 Jun. See all 164 properties in Kuala Lumpur Intl. 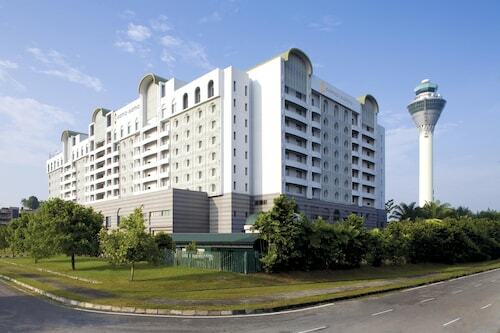 Situated near the airport, this luxury hotel is within 9 mi (15 km) of Mitsui Outlet Park Klia Sepang, Sepang International Circuit, and Sultan Abdul Samad Mosque. National Automobile Museum and Taman Rekreasi Kuarters KLIA are also within 12 mi (20 km). Kuala Lumpur International Airport Station is 10 minutes by foot. 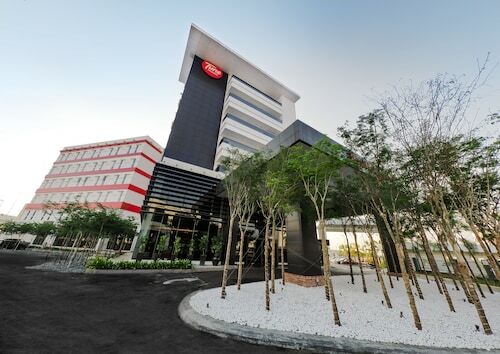 Situated near the airport, this hotel is within 9 mi (15 km) of Sultan Abdul Samad Mosque, Mitsui Outlet Park Klia Sepang, and National Automobile Museum. Sepang International Circuit and Taman Rekreasi Kuarters KLIA are also within 12 mi (20 km). Kuala Lumpur International Airport Station is only a 4-minute walk. 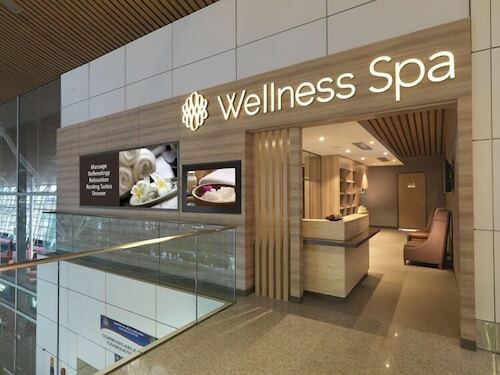 Situated in Sepang, this hotel is within 9 mi (15 km) of Sultan Abdul Samad Mosque, Mitsui Outlet Park Klia Sepang, and National Automobile Museum. Sepang International Circuit and Taman Rekreasi Kuarters KLIA are also within 12 mi (20 km). Kuala Lumpur International Airport Station is 7 minutes by foot. 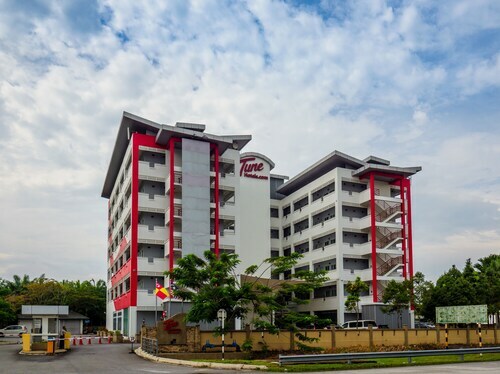 Situated in Sepang, this hostel is 1.1 mi (1.8 km) from National Automobile Museum and 2.4 mi (3.9 km) from Sepang International Circuit. KLIA Jungle Boardwalk is 2.5 mi (4 km) away. 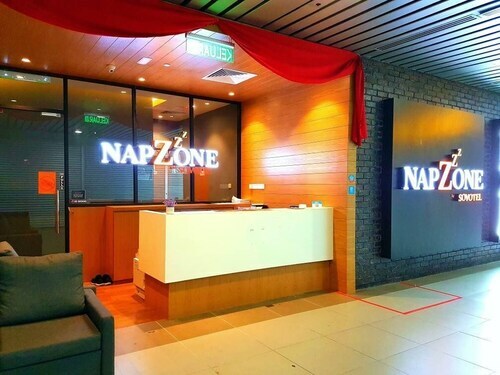 Situated near the airport, this hotel is within 12 mi (20 km) of Mitsui Outlet Park Klia Sepang, Sepang International Circuit, and KLIA Jungle Boardwalk. Putrajaya International Convention Centre and Alamanda Putrajaya are also within 25 mi (40 km). 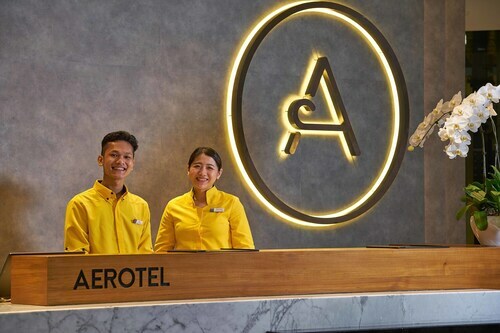 Situated near the airport, this hotel is 6.3 mi (10.1 km) from Mitsui Outlet Park Klia Sepang and 9.7 mi (15.6 km) from Sepang International Circuit. 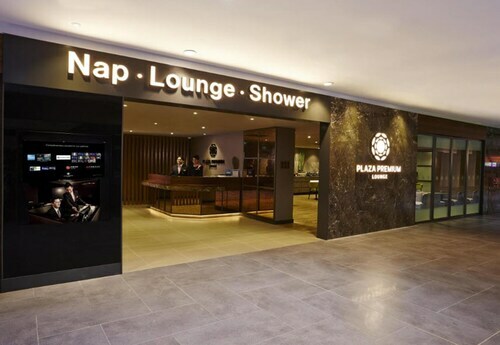 Situated in Sepang, this hotel is 0.5 mi (0.8 km) from KLIA Jungle Boardwalk and within 9 mi (15 km) of Sepang International Circuit and Mitsui Outlet Park Klia Sepang. Putrajaya International Convention Centre and Palm Mall, Seremban are also within 25 mi (40 km). Question : How much is a plane ticket to Kuala Lumpur (KUL) from Ottawa (YOW)? Answer : Prices range anywhere from $1,122 to $30,481. Booking in advance can typically help you get the cheapest rate. However, usually the sooner you book, the better the price. Answer : Yes, you can switch your departure or arrival date. If you want to save a little money in doing so, the cheapest day to fly in April is Sunday. Being flexible with your travel days can provide you extra savings when booking. Question : How much time do people spend in Kuala Lumpur? Answer : The average time spent hanging out in Kuala Lumpur by passengers from Ottawa is 11 days. Answer : The cheapest day to fly from Ottawa to Kuala Lumpur is on Sunday. If you want to save a little cash on your next trip look for flights on Sunday. Question : What is the cheapest airline flying from Ottawa to Kuala Lumpur? Answer : Ticket costs are hitting highs of $30,481 over the next three months when flying to KUL from YOW. Check out Cathay Pacific, as they have bookings at just $1,122. Question : What is the cheapest date to fly to Kuala Lumpur? Answer : May 4th has bookings (as of Apr 15th) for as little as $1,122. That comes in 39% below the average price for this route. Saving now gives you more moolah to spend on your trip.